Code results can be inserted directly into the text of a .Rmd file by enclosing the code with `r `. 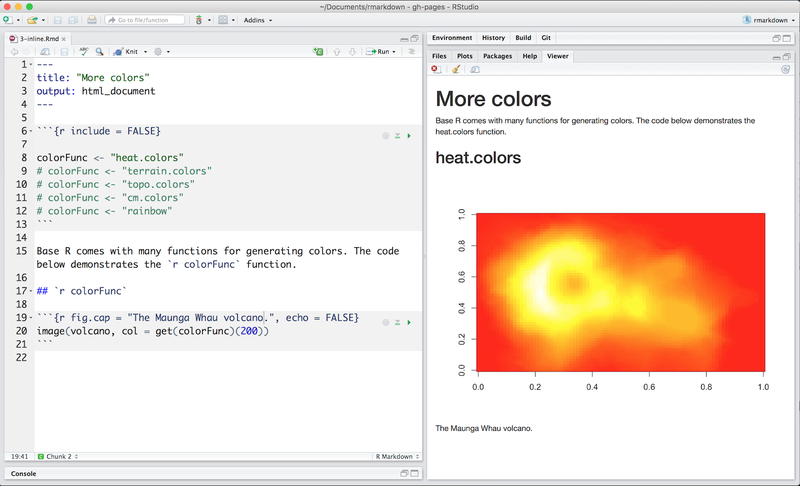 The file below uses `r ` twice to call colorFunc, which returns “heat.colors.” You can open the file here in RStudio Cloud. 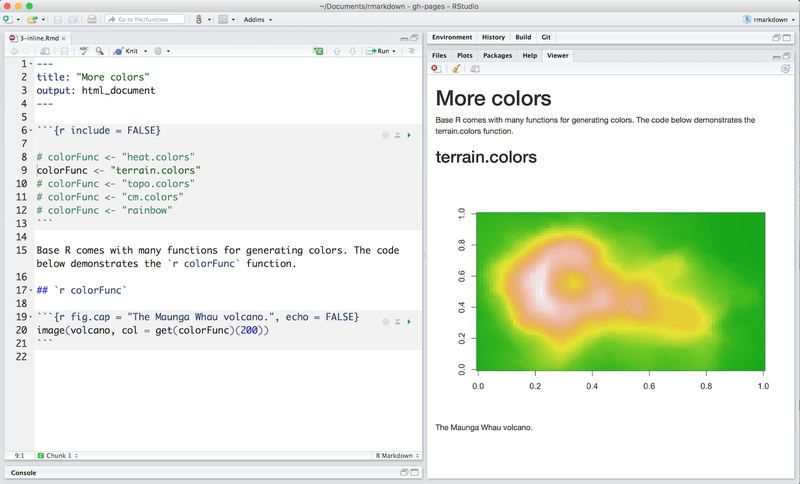 Using `r ` makes it easy to update the report to refer to another function. As a result, inline output is indistinguishable from the surrounding text. Inline expressions do not take knitr options.